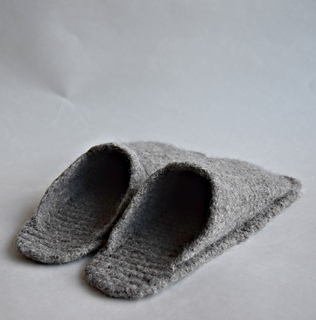 Flaps are simple slip-on slippers with a square toe and clean lines. 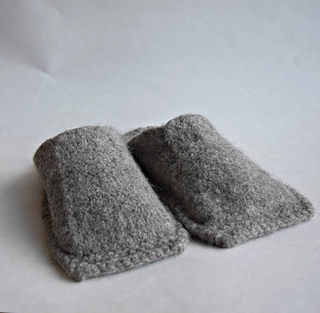 The soles are knit with a double strand of yarn; the uppers with a single strand. 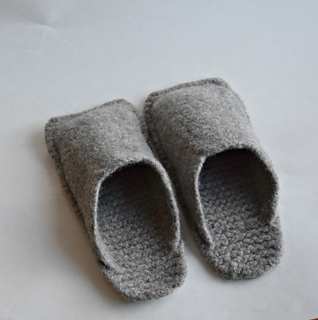 Super quick, they are knit back and forth throughout without any seaming. 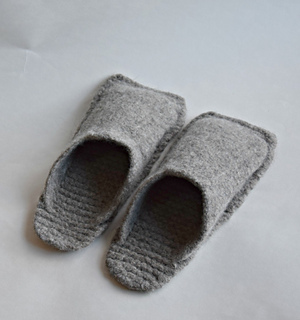 Complete instructions are provided for how to felt the slippers to exact size in a washing machine.